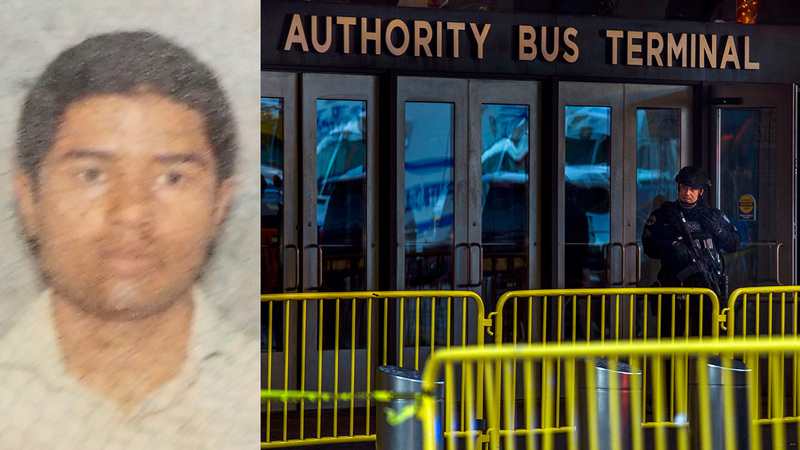 MIDTOWN, Manhattan (WABC) -- The man accused of setting off a pipe bomb in an underground subway passageway beneath the Port Authority bus terminal has been indicted. 27-year-old Akayed Ullah, a Bangladeshi immigrant, will be arraigned in federal court Thursday. He is charged with supporting an act of terrorism, criminal possession of a weapon and making terroristic threats. Only three people suffered minor injuries in the explosion. Ullah faces a maximum of life in prison. He is not eligible for the death penalty because no one died in the attack. Ullah was the only person seriously hurt in the Dec. 11 attack. He was arrested soon after the pipe bomb failed to fully explode, though he was initially hospitalized after suffering burns. He remains held without bail at a lockup next to the federal court complex in lower Manhattan. They also said in court papers that he admitted he wanted to cause carnage to avenge U.S. aggression toward the Islamic State group. His initial appearance before a federal magistrate judge came via a monitor, which showed images of him in his hospital bed, flanked by his publicly appointed lawyers. The pipe bomb was assembled in the suspect's apartment, officials said, in an attack he is believed to have been planning for a year.